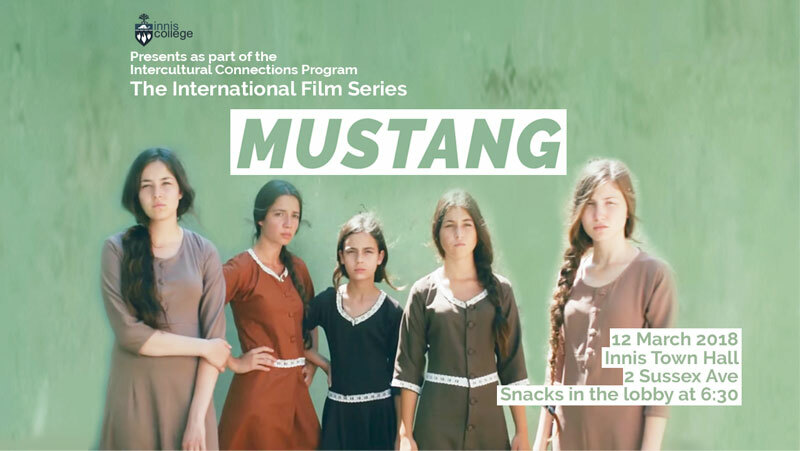 Innis College as part of the Intercultural Connections Program presents a screening of Deniz Gamze ErgÃ¼venâ€™s MUSTANG (2015, 97min) on Monday March 12 at 7PM. The International Film Series takes place every third Monday of the month. Admission to this and all screenings in the series is free.